Nichiren explains that if he were born in the former day of the law (while Shakyamuni was living) his teachings would have had little impact, since as he says the people had not yet heard the Lotus Sutra. 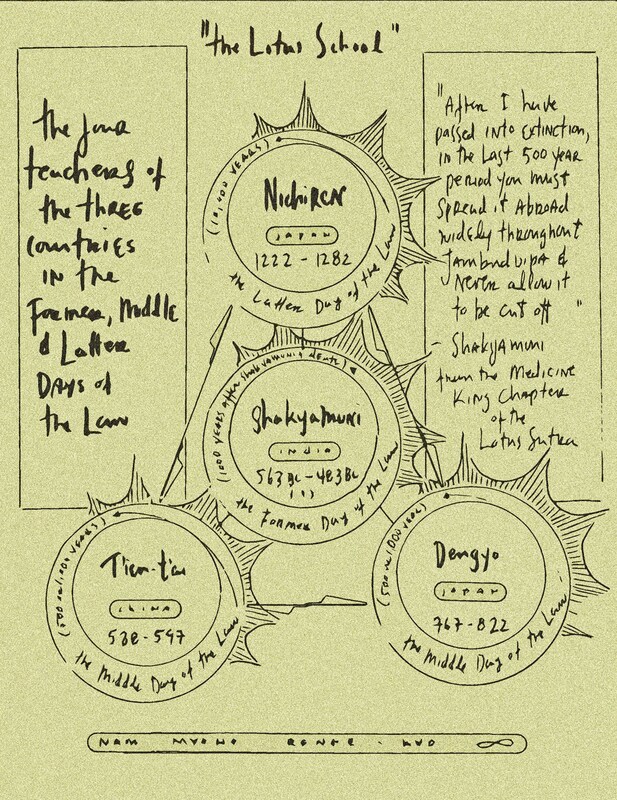 It seems that at this incipient time, people were still benefiting from the Buddha’s teachings (& other sutras), & they might’ve been deciding what value was to be found within the Lotus Sutra, & they had no idea that the key to enlightenment could be found within it. Although Tien-t’ai & Dengyo are known to have propagated the Lotus Sutra, it wasn’t till Nichiren discovered the Mystic Law of Nam-Myoho-Renge-Kyo in the Latter day of the law, causing the Buddha’s prophecy to be realized. People were then able to find enlightenment within their own lives & to help others find it within their own. Nichiren sees being born in the Latter Day of the Law as a great benefit because it’s a time when the Buddha’s teachings are in decline (or a mere formality), the Mystic Law is what is needed as Shakyamuni predicted. “…if you see someone who accepts & upholds this sutra, you must take blue lotus blossoms, heap them with powdered incense, & scatter them over as an offering. And when you have scattered them, you should think to yourself: before long this person will pick grasses, spread them as a seat in the place of practice, & conquer the armies of the devil. Then he will sound the conch of the Law, beat the drum of the great Law, & free all living beings from the sea of old age, sickness & death. This notion to “spread it abroad widely” is Kosen-Rufu’s fundamental meaning, it is the essence of the Buddha’s prophecy, it is the essence of the Lotus Sutra & it is how the practice will stay alive in our hearts & for generations to come. Spread the word widely, chant Nam-Myho-Renge-Kyo & be enlightened to the Mystic Law of cause & effect. …just bought this coin on eBay. It’s a duit from 1737. This nickel sized coin will now replace my (Russian Catherine the Great, 1778) kopek as the oldest object I own. 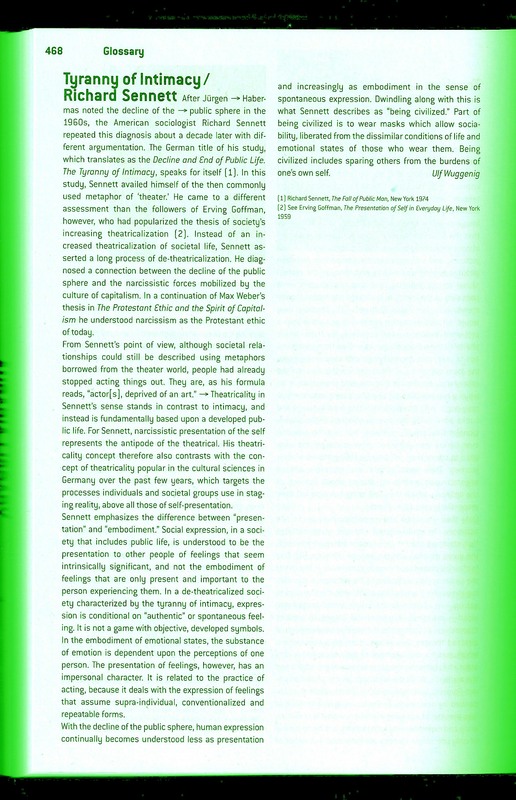 …found the above text in a glossary from the Sculpture Projects Muenster 07 (a publication that accompanies the city-wide exhibit of the same name, which is presented every 10 years). 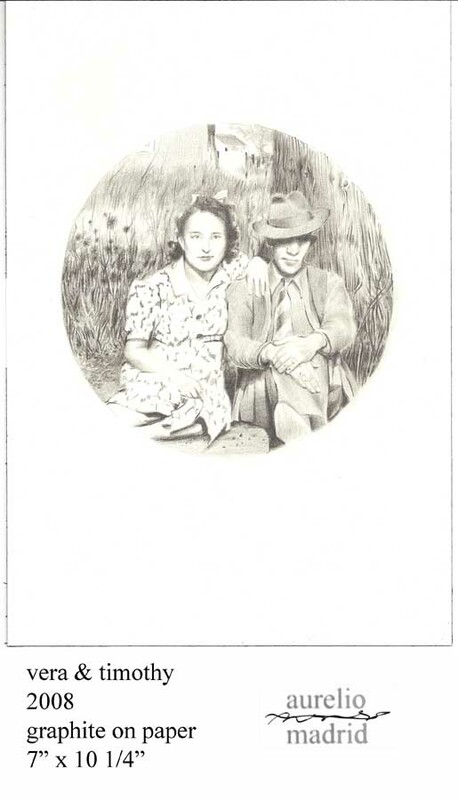 This drawing is from a small photo of my maternal grandparents (Vera Ortiz & Timothy Martinez), probably taken in the early to mid 1940’s somewhere in southern Colorado. Timothy was about 50 & Vera was in her 20’s. It’s well known that Grandpa was married at this time & even had a daughter that was older than Grandma. He had two other children that had since passed away. A few years after this picture was taken Vera & Tim had 3 daughters & of course this includes my mother. My mom is not forthcoming on what kind of father he was, my impression is that he was somewhat aloof, but still had contact with his 2nd family. Grandma was a strong woman who raised the girls on her own without much of his support. One of my aunts (Stella) went to another family as a child & little is known about her whereabouts now. Before Grandpa’s 1st wife died, Grandma moved in, to eventually become his 2nd wife & she cared for him till he passed-away in the early 80’s while he was in his 90’s. Grandma’s still alive, but not able to take care of herself & she lives with her 3rd husband in a nursing home here in Denver. It’s hard to just write down the facts, given that this was such an unconventional relationship, but it is with great respect that I do. Both Vera & Tim’s families were frontier-people to Colorado. They made-up the rules as they went along, had families & faced hardships together. Their love lasted through the years & they will always be remembered by me, with love.